VMP 009: An Interview With A Web Developer On How To Make A Website That Wins! In this episode I interview Jared Cullop and Brian Macrae on how to create a website that helps your practice grow. Your website really is the backbone of your marketing and can help you drive clients through the door, but it has to be done right. Jared is the owner of JCI Marketing and not only is his company a web development company but they also do beautiful web design, SEO, branding, and social media management. Jared is not only veterinary specific but also handles a large variety of other small business web sites, and I think this is important because most of the time people in the veterinary industry only hear from veterinary specific companies. Jared shares some great insight into what it takes to make your site the very best so that it can beat the competition and really work to grow revenue at your practice. 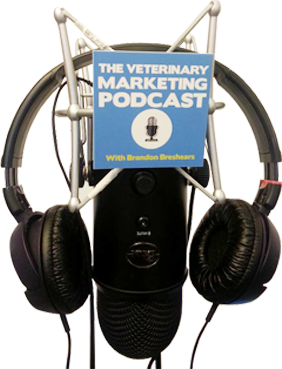 Brian Macrae from Rethink Veterinary Solutions also offers some great insight because he has seen hundreds of veterinary websites and branding and sees areas in the industry that need to be addressed.